Okay. So you know how I was gonna do a monthly update on the books i've been reading. No, you didn't? Well I forgot too apparently. 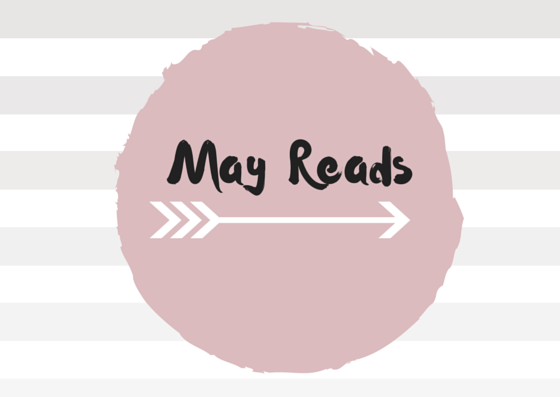 Anyway I though I'd give you a little update on the books I read in May. 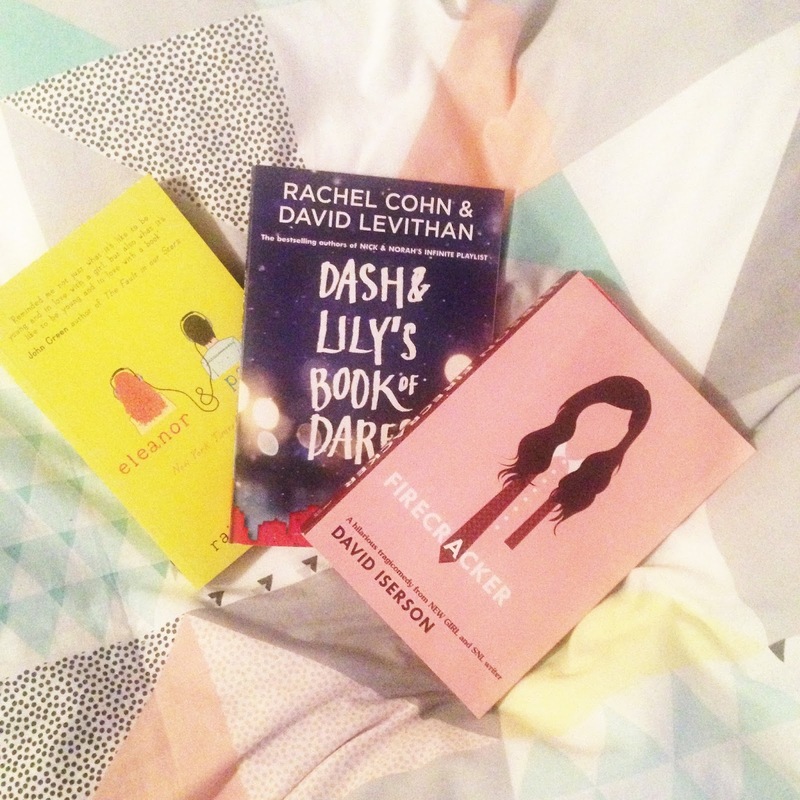 As you can see from the pic above I read Eleanor and Park by Rainbow Rowell, Dash and Lily's Book of Dares by David Leviathan and Rachel Cohen and Firecracker by David Iserson. While I enjoyed reading all these books, I can't say that I really loved any of them. Eleanor and Park was probably my favourite of the three, but that being said I found Eleanor's character quite annoying. Just open up girl! And that ending though. If you've read it you know what I'm talking about. Dash and Lily's Book of Dares wasn't as exciting as I thought it would be, mainly because it wasn't really dares they had to do, more like a scavenger hunt. Nevertheless it was a cute story and I really liked Dash and Lily's characters and the way they interacted with each other. Firecracker was quite interesting to read. I liked how it was different from the other two as it's main focus was on the character development of Astrid Krieger. But I was quite annoyed with how the blurb sold the book as a story about a girl who lives in a rocket ship and has to go to public school for the first time. The whole rocket ship was referred to like a whole three times. But I did really like the progress from where Astrid's story started to where it ended. If you've read any of these books let me know what you thought.